The volume brings together a stellar group of contributors who examine the social capital thesis by means of four different approaches: theoretical, historical, comparative, and empirical. 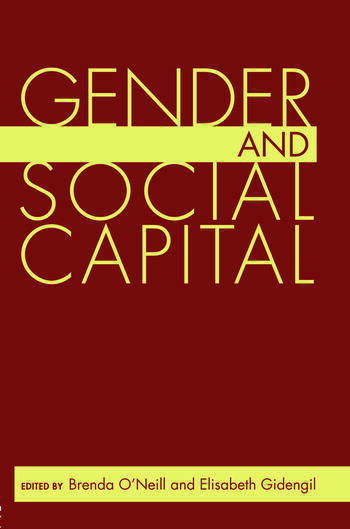 In the end, this book will serve to answer two fundamental questions which have hitherto been neglected: What can a gendered analysis tell us about social capital? And what can social capital tell us about women and politics? Brenda O'Neill is an Associate Professor of Political Studies at the University of Manitoba. Elisabeth Gidengil is a Professor of Political Science at McGill University.